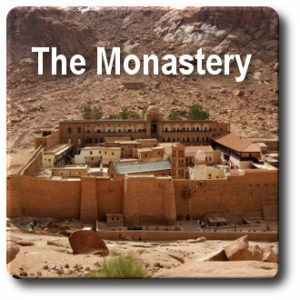 The monastery on the Virtual Town Square is actually a Metochion (Greek) or Podvoria (Russian) – a small urban monastic dependency. It is called the St. Theophan the Recluse Skete. Orthodox monasteries preserve the most rigorous form of spiritual life, preserving spiritual, ascetic, and liturgical traditions. This allows monks to pursue a concentrated form of life with fewer distractions. Monks are the safeguards of an authentic spiritual transmission.